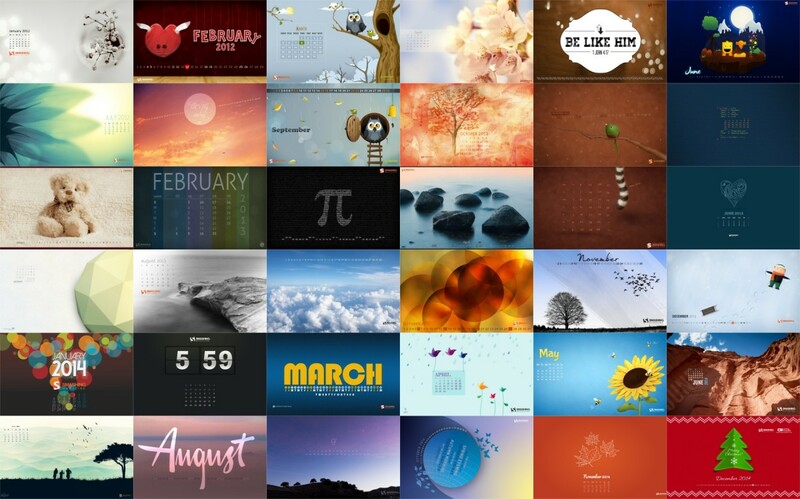 In November 2011, I found Smashing Magazine's 'Desktop Wallpaper Calendar' post which showcased calendars created by its readers that you could download and use as your desktop wallpaper. Every month since then, I have found and downloaded a calendar which has become my desktop wallpaper for that month. The above is a collage I created in the GIMP, using the free 'IGLO - Images Grid LayOut' script, which shows the wallpapers that graced my desktop from Jan 2012 to Dec 2014.